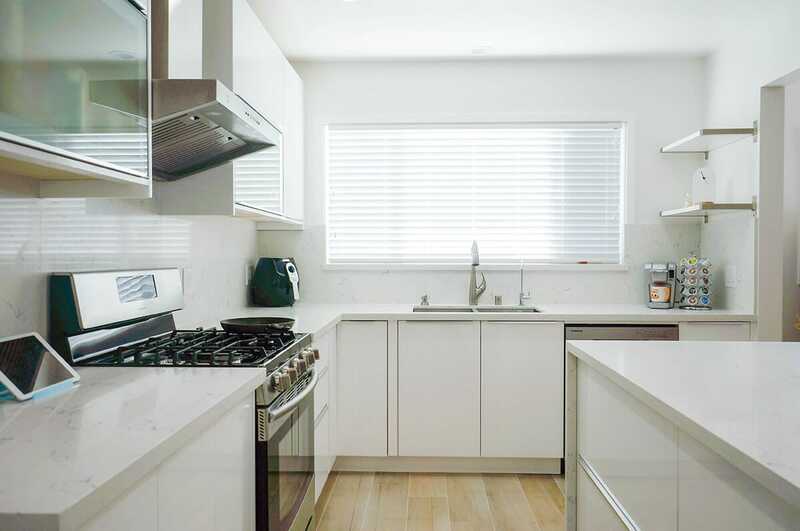 The High Gloss White is truly something to behold. 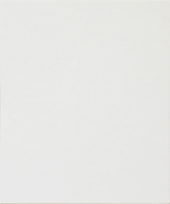 This pure white invokes welcoming futuristically clean sensations. 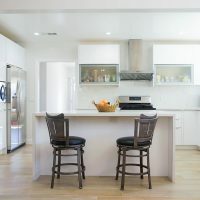 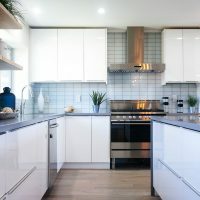 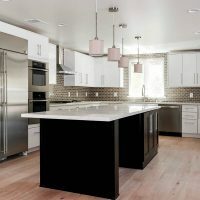 At first glance, the bright and shiny White Gloss will give your cabinets a sleek but strong plastic look like the surface of an Apple Magic Mouse. 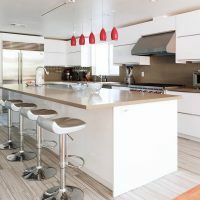 Then as you approach the cabinet panels and see the depth of the inviting white finished with impeccably smooth high gloss coatings you can begin to see the elegance that these cabinets bring to your kitchen. 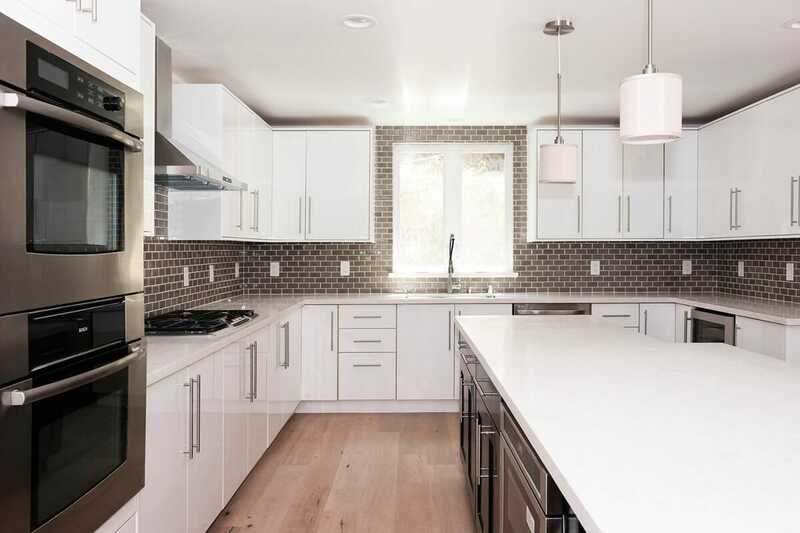 As you’d expect from a pure white, in terms of color, the White Gloss cabinets will match nearly every color of countertop or backsplash. 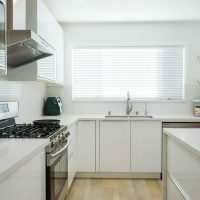 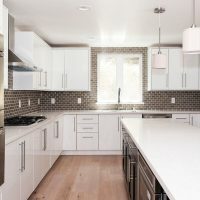 These cabinets are so smooth to touch; textured floors and backsplashes will be very positive and complementary when juxtaposed with the White Gloss. 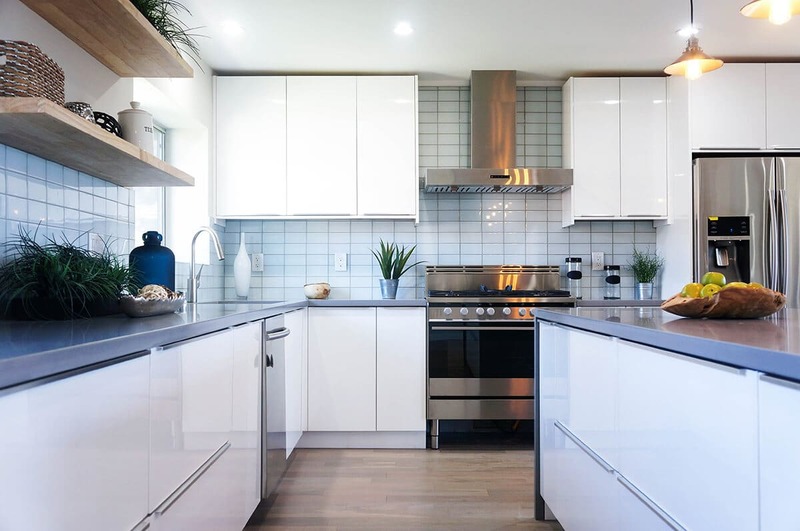 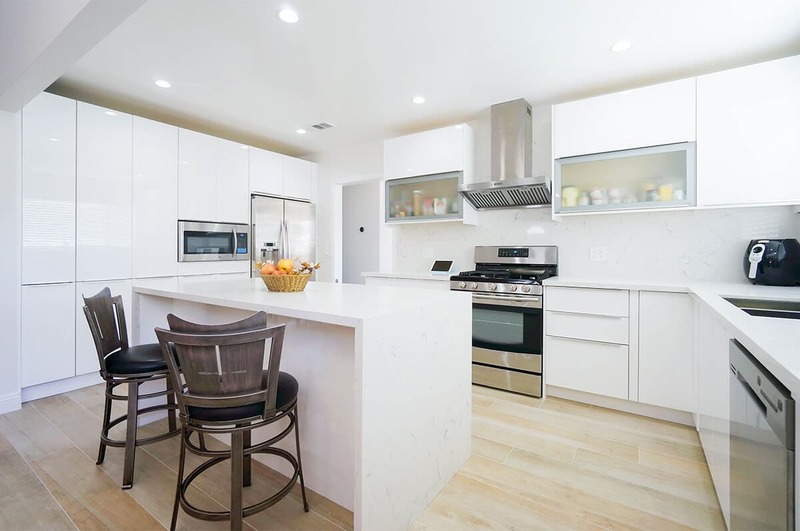 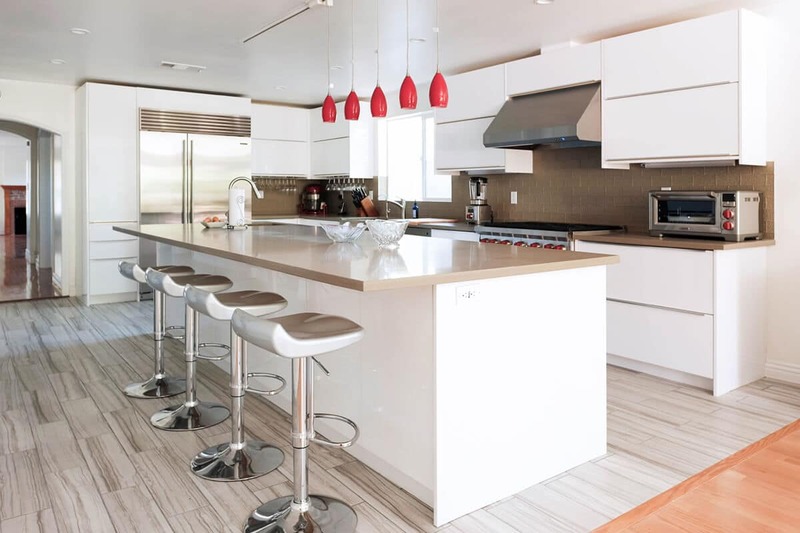 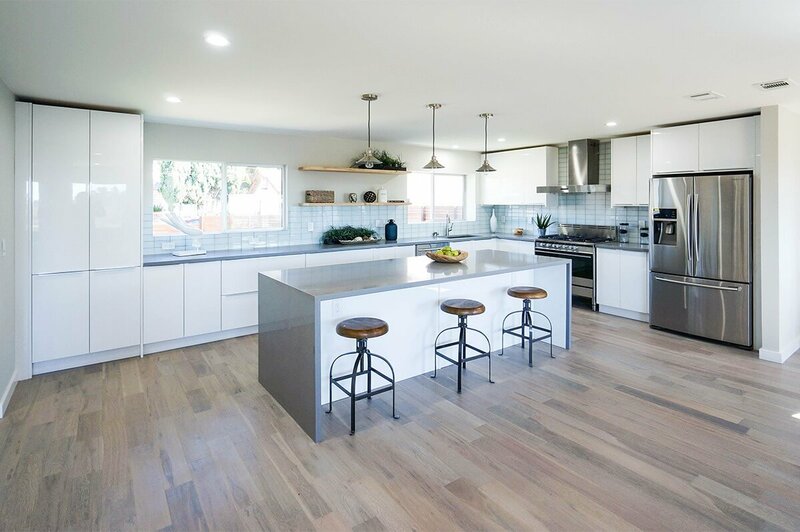 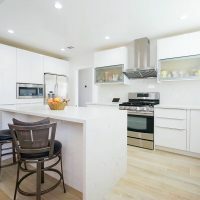 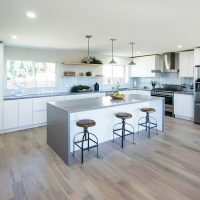 The ultra-clean feel of the White Gloss can be paired with all stainless steel appliances and stainless steel countertops to give your kitchen a truly sterile look. 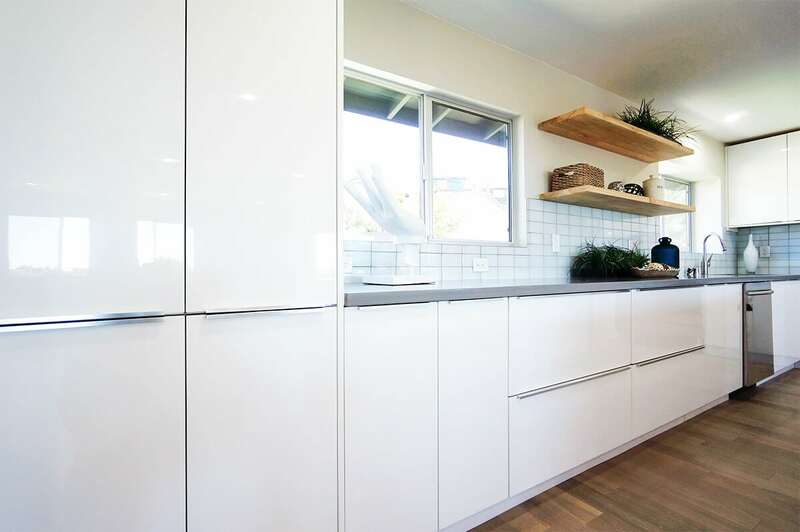 All of our European cabinets, including the White Gloss, give you the option of having horizontal wall cabinets. 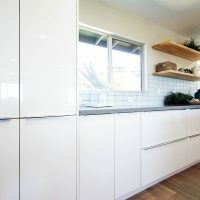 Doors on these cabinets swing upward rather than left or right; giving you more options and more flexibility for your kitchen. 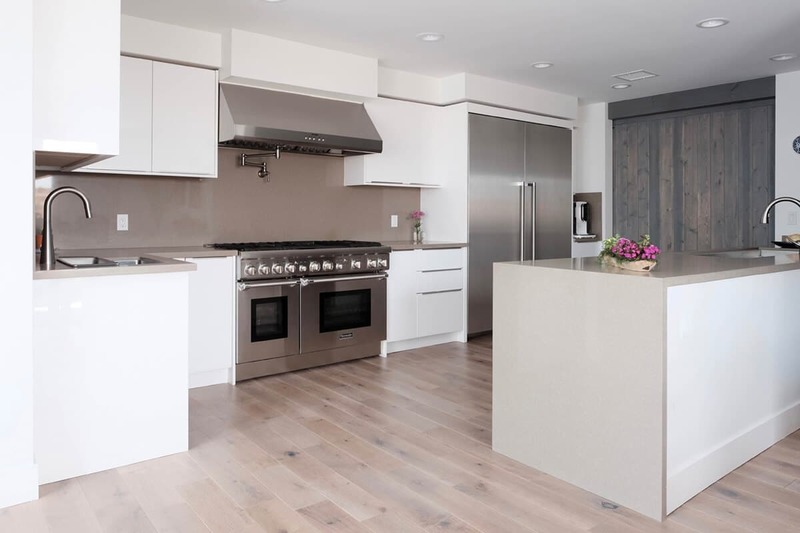 As an added benefit, the White Gloss features stainless steel drawer slides and soft close glides and hinges. 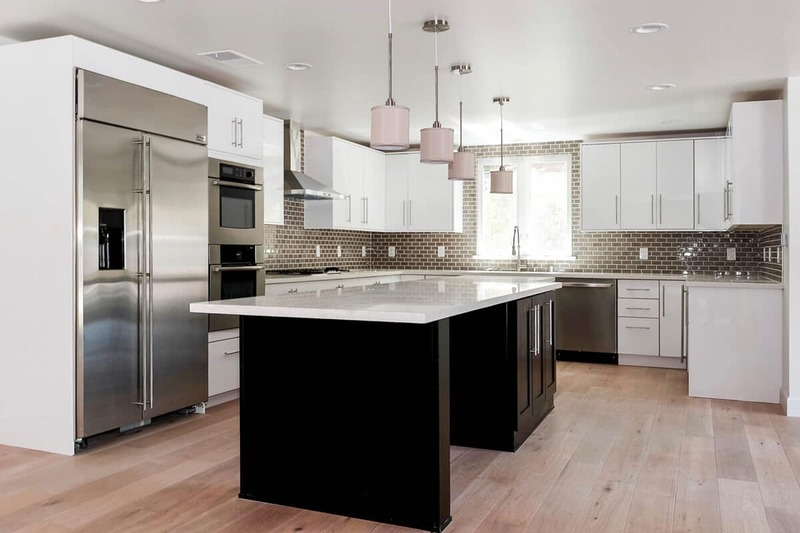 Like our Silver Gloss and Charcoal Gloss options; the White Gloss is made from a ¾ inch medium density fiberboard that has been covered in several thick coats to achieve its fantastic color as well as its glossy finish. 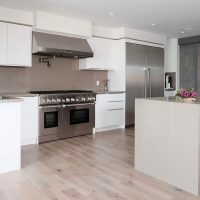 This gives you a hard sturdy panel that has all the quality you would only expect to get from hardwood cabinet doors while maintaining an extra modern look that is unbelievably smooth. 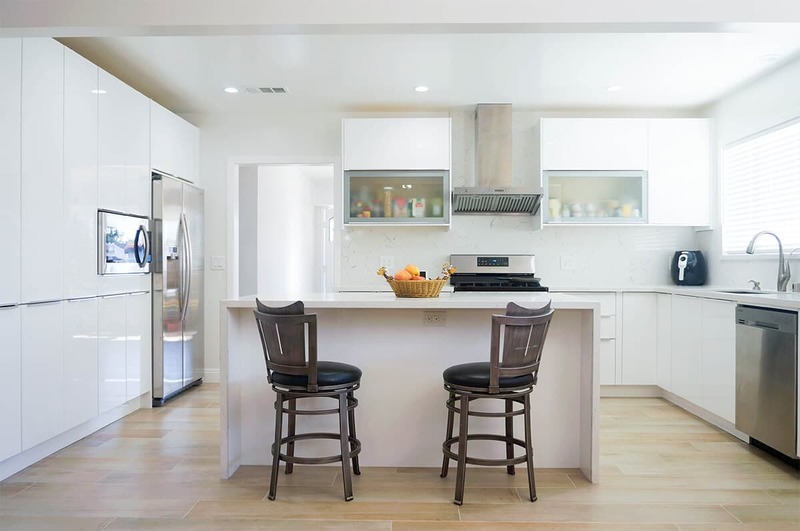 If Cleanliness is next to Godliness, then the White Gloss will make your kitchen heaven.